This article by Pat Ciavolella, Head of Malware Desk and Analytics at The Media Trust, was originally published in Fraud & Identity Today on December 18, 2017. Let’s admit it; online shopping can sometimes feel like junk food – it’s really good when you “virtual window-shop” but there is some element of guilt when you finally decide to splurge. Unfortunately, just like junk food binges can harm your health, online shopping can hurt you, too—malware and stolen card details are just the tip of the iceberg! There is proof in the pudding: 2017 bore witness to several unsettling examples of ecommerce website attacks. 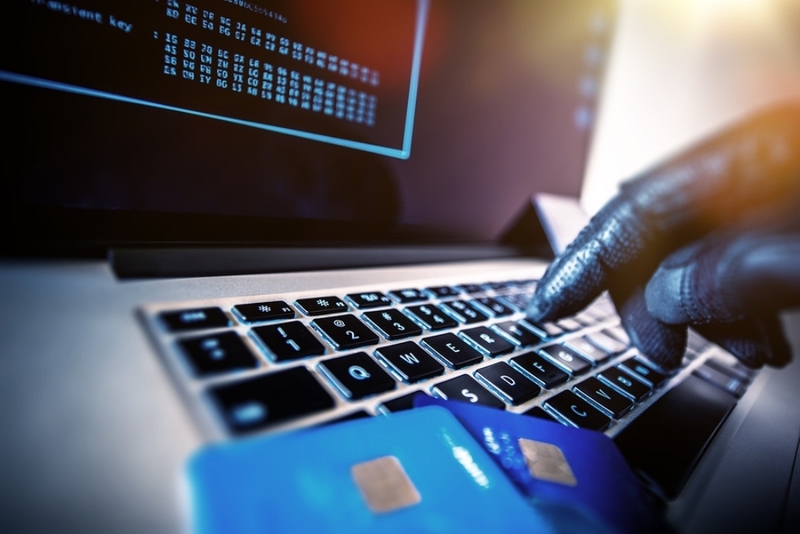 In the Spring, at least 25 reputable, mid-tier ecommerce sites were compromised to steal customer payment card details. Then, six months later it was revealed that some of the world’s popular websites—a list that includes several brand-name retailers—were found recording your every keystroke. Experiencing the effects of a digital compromise is a likely prospect for the average online shopper; it’s no longer something that only occurs during high-volume shopping periods or on dodgy websites. According to Adobe Analytics, online sales hit a record-breaking $6.59 billion on Cyber Monday, up 16.8 percent from 2016. How much of these record-breaking online sales were safe for you as a consumer? Good question. But, in preparation for 2018, everyone can resolve to be more vigilant. 1. Judge loyalty programs: treat as guilty until proven innocent! Read the fine print when signing up for loyalty programs that enable you to take advantage of additional discounts. Many retailers share your personal information with industry partners to promote seemingly complementary products, but the security of your personal data is not guaranteed. Domain spoofing is a widespread issue. It is easy to get enticed by a deal for a new gadget only to end up shopping on a completely fake website that has purposely been setup to entice and trick users, e.g., greatsales.com vs. gratesales.com. Also, pay close attention to grammar and spelling on various pages of the website, too. It’s easy to accidentally navigate off a legitimate site to a spoofed site. While shopping online, chances are, you are looking at multiple brands of goods. Before hitting the buy button, verify if the brand has a legitimate website, physical address and customer reviews before you splurge. Again, it doesn’t hurt to continuously keep an eye out for spelling errors on the url/domain and also general website text grammar. It’s unlikely a reputable brand would accidentally have these types of errors. This basic security practice is one that many consumers need to adopt. Changing passwords often, possibly a weekly or monthly basis, and creating strong passwords is important. And, no, your birthday isn’t a good password. Did you see an error message popup on the payment page? Or, did an error message flash just after you hit submit on your order? Chances are, there is something amiss and threat actors are trying to steal your payment card information. For the most part, the payment page should look “clean”, mimic other pages and contain minimal text – it shouldn’t have too many images, ads or other offers. Review the website’s security certificates, especially those on the payment page. While there is no guarantee that these certificates protect against a website attack, you at least want the ecommerce platform to meet industry security best practices around online payments, e.g., comply with PCI DSS standards. Redirects, ad overload, ads that auto-refresh continuously, videos or images that take too long to load could signal some kind of trouble, possibly a compromise. Leave the site immediately by closing the tab and/or browser; you may even want to power off your device. If the webpage displays a survey promising more discounts on completion or prompts you to update a plugin/ software, close the page down as quickly as possible. These are typical ploys to facilitate phishing or exploit kit drops. Don’t fall for it; some of these “you’ve won” scenarios ask an endless stream of user-identifying questions with a promise of a reward at the end. The reward never appears. Exit the browser right away! You might think you are better off shopping on your mobile phone, but carried-targeted malware is on the rise. This malware is only triggered if a person is visiting an infected website through a mobile device using data, i.e., the malware will not drop if you are on a secure Wi-Fi network. Learn a little bit more about how cookies are used, how information about you is either shared or protected. And this third-party code, says Chris Olson, results in dozens of cookies for each user, security vulnerabilities and performance hits. The front page of a newspaper with the headline “Fake News” which illustrates the current phenomena. Front section of newspaper is on top of loosely stacked remainder of newspaper. All visible text is authored by the photographer. Photographed in a studio setting on a white background with a slight wide angle lens. Charles Tendell from The Charles Tendell show interviews Chris Olson, CEO of The Media Trust, about fake news and its presence in the digital ecosystem. The fake news furor and potential Russian involvement in the U.S. 2016 general election is reaching a fever point with multiple congressional hearings, and, digital advertising is in the crosshairs. Like many challenging discussions about digital advertising, transparency is at the heart of the issue. The proposed Honest Ads Act, a bipartisan effort to govern digital advertising according to the same rules followed by traditional broadcast media regarding political advertising, and is the one tangible fallout from the investigations. The act calls for all politically-oriented digital ads to be declared at purchase, clearly labeled in the creative, and available for consumer access via a searchable interface. Among other things, the buyer must disclose their contact information, candidate and/or campaign, ad flight duration, number of impressions/views, and targeting criteria. The platform must collect this information and retain it for at least four years. It applies to digital platforms with at least 50 million unique visitors a month for the preceding 12-month period that have political ad buyers who spend at least $500 within a calendar year. In a nutshell, it requires publishers know their ad buyers, ensure ads comply with (regulatory) policies and provide consumer access to these ads and any associated targeting criteria. Sounds familiar? As The Media Trust announced a few short months ago, our Digital Vendor Risk Management (DVRM) platform provides real-time visibility and insight into non-compliant activity and threats operating in an enterprise website and mobile app environments. More than a risk management framework, DVRM operationalizes client-specific digital asset policies, continuously evaluates digital partner compliance, and actively facilitates the resolution of violating behavior. The crux of this solution is the ability to identify and manage an enterprise’s digital ecosystem participants, from ad tech up to the source buyer, and authorize their presence. In addition to privacy regulation and escalating security concerns, the Honest Ads Act is just another reason why enterprises need to know their partners. Applying a political lens to DVRM it’s evident that the platform is already satisfying most of the requirements to enable transparency and accountability. Advertising supply chain partners register via an online portal; ads are uploaded and continuously scanned according to targeting criteria; client-specific policy violations are flagged; and, ads are stored for historical reference. Major platforms have announced their approaches to address congressional concerns and hopefully stave off the vote, let alone passage, of the Honest Ads Act. However, this self-regulation will need to extend to others meeting the requirement threshold, like ecommerce and media publishers. Regardless of Honest Ads going to vote, changes are in the air. As an industry that has largely grown via self-regulation, the signals are obvious. It is incumbent upon the industry to embrace these changes, especially with the DVRM platform as an easy way to codify and operationalize your policies. Hear what The Media Trust’s Alex Calic, Chief Revenue Officer, has to say about how GDPR will drive transparency into publisher digital ecosystems. He shared his thoughts with Joost Schipperijn, Index Exchange, during DMEXCO.